The Hardline: Trip Devotional studies six of the hard sayings of Jesus. Jesus addressed issues that others in His culture avoided, and He was uncompromising. He took a hardline. Use this mission trip devotional to help students understand that you need to know what you believe and take a stand. 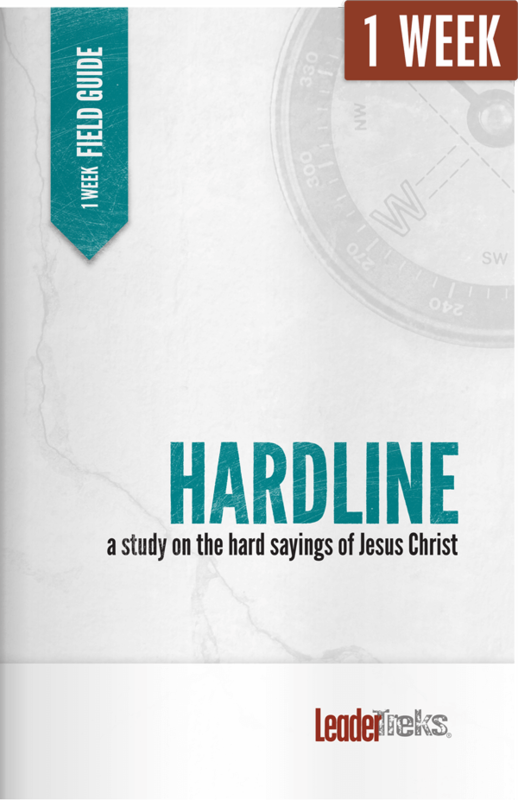 The Hardline: Trip Devotional intentionally uses different Bible study methods throughout the book. Your students will learn to view Scripture through a variety of lenses and are likely to discover at least one method they can continue to using after the trip. The Hardline: Trip Devotional includes a customized prayer journal for students. They’ll walk through the ACTS method – Adoration, Confession, Thanksgiving, and Supplication –and record how God is answering their prayers. The Growth Journal inside the Hardline: Trip Devotional is a place for daily evaluation for individuals as well as space for students to write their thoughts and feelings. It’s a tool to help students realize how God worked in their lives on the trip. The Target Three evaluation tool inside the Hardline:Trip Devotional encourages daily evaluation of the team. Teams that evaluate on a regular basis grow in unity and overall effectiveness. Students will answer specific questions to identify what the team is doing well and how they can improve.